To avoid noise, inefficiency and indoor air quality problems, it is important to get the design, installation and commissioning of MVHR (mechanical ventilation with heat recovery) systems right. Green Building Store ‘s MVHR Design Service offers MVHR design, supply and commissioning. For installation, Green Building Store has now developed a list of tried and tested installers to ensure that its MVHR systems are installed correctly to achieve optimum performance. Currently there are four companies listed on Green Building Store’s Approved MVHR installers list covering a wide geographical area. 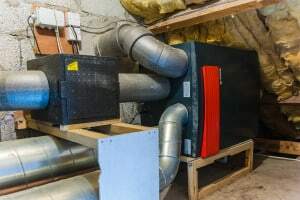 Green Building Store operates a quality control check on any approved installers and has been able to check their installation quality, by commissioning the Green Building Store MVHR systems for a minimum of two installations. UK MVHR installers approved by Green Building Store's MVHR Design Service.